This Mini DisplayPort to DVI-D adapter converts the graphics signal of a PC or Mac with Mini DisplayPort or Thunderbolt output in to a standard DVI-D signal for use with DVI-D equipped Displays and Projectors. It supports ATI Eyefinity, Intel Collage and Nvidia Surround technology, which means that 3 or more monitors can be connected. 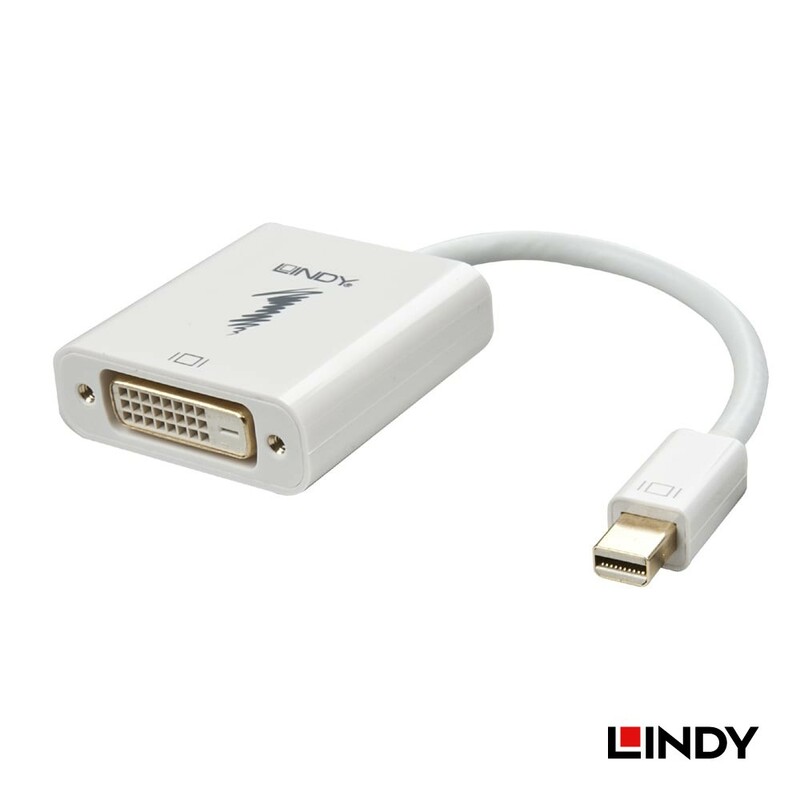 The adapter is connected directly to the Thunderbolt or Mini DisplayPort interface and connected via a standard DVI cable to the DVI monitor/projector.